Do events have the power to heal? “What bonds us is our humanity. Who cares about politics. Who cares about religion. Who cares about all those other things. It’s about creating a social fabric that allows all of our children to achieve their optimum potential.” ~ Karen Joseph, Executive Director, Reconciliation Canada. Events can do many things. They connect us. They teach us. They inspire us. But can they heal us? And the wrong we have done to each other? Can they give us a new way forward? Involved in the event industry for two decades I confess I can become a bit skeptical about the lasting legacy of our work. Especially when you move from conference to expo to meeting where the focus can seem ordinary, aimed at selling, entertaining, networking and education. Not to belittle those aims which help us progress day-to-day, but after a steady dose it can leave you wondering if what you do makes a significant, meaningful difference. But every once in a while an event comes to pass that reminds me of the immense potential events have, and how much they matter. How they can be a medium that restores, inspires and transforms how we are as a society, and how we relate to one another. These events provide space to work through painful memories and receive what is needed to reconcile. They give us the blessing of pause, and call us to reach across divides that may define us, culturally and economically, to provide and receive support. Emerging from these experiences we can transcend trauma, see the world in a different light and move forward – individually and collectively – to a better way of being. It’s these experiences that truly use the power of events for good. 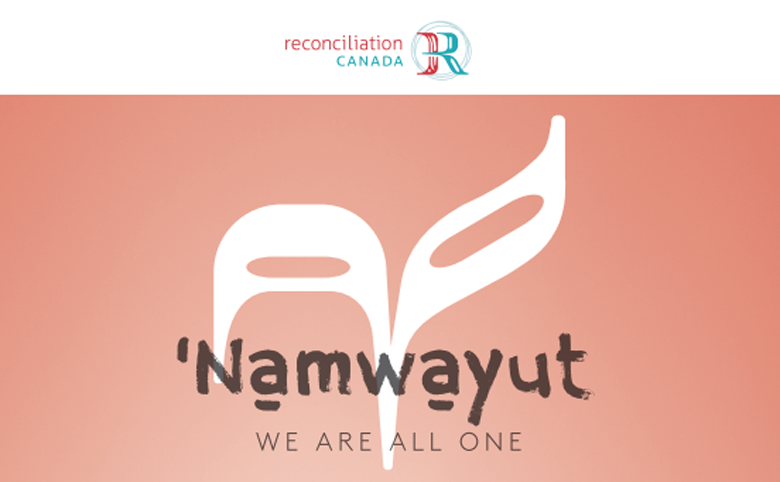 This week in Vancouver we are preparing for Reconciliation Week, a national event to involve all Canadians in acknowledging the difficult legacy resulting from the placement of 150,000 First Nations, Metis and Inuit children in residential schools. A legacy that generations later has resulted in persistent societal problems: within families, across generations and between cultures. It is also an opportunity to acknowledge other traumas that have been committed against groups who have been marginalised in different ways throughout our nation’s history. Personally and professionally I’m moved by the opportunity. Professionally, to show how events can strengthen our social fabric, and provide a path to make our communities better. Personally, to honour the wisdom, struggle and survival of people I know who have lived with the trauma caused during these parts of our nation’s history. My hope is we will see Reconciliation Week for the rare gift it is. An opportunity to walk together in a “symphony of our common humanity”, to borrow a verse from Chief Dr. Robert Joseph, Reconciliation Canada Ambassador, so that we might heal, and raise each other up. It is a chance to sincerely listen to the stories of others and think about how we can influence our networks to end indifference and find a new way forward. For myself, I know one way forward will involve continuing to consider how in my role as an event professional I can meaningfully and authentically include Indigenous People in events. If you can, walk with us. And consider the role that you can play in your communities now, and in the future. For further information: Reconciliation Week Envisions a New Way Forward, David P. Ball, The Tyee. Gratitude to Lillian Howard and Judy Kucharuk for their wisdom and encouragement in writing this post. Something does not add up. How can there be more than 80 thousand living ‘survivors’ of Residential School when the government claims only 150 thousand attended in the more than 100 years of these institutions? Not only that, from 1917 to 1960, deaths of children stopped being recorded after the book ‘A National Shame’ by Dr Peter Bryce. Thanks for taking the time to read and comment Henri. You raise an important point that readers should be aware of particularly if they’re learning about this issue for the first time: that numbers are a source of debate and perhaps are better qualified as “reported” in light of that.